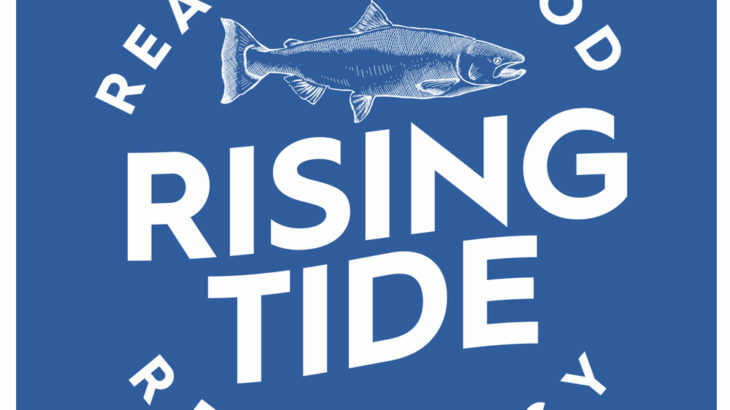 Rising Tide – The Fishin' Co. The Fishin’ Company is excited to announce our new Value-Added line of products, under our new brand name, Rising Tide. Our continued quest is to innovate and improve sustainable farming and fishing practices through sourcing. This is our commitment to the environment and the industry, but most importantly, the consumer – you. Our new products include Buttermilk Fried Tilapia and Swai Tenders, Rosemary Herbed Tilapia and Swai Tenders, Lemon Basil Albacore Tuna Burgers with Jalapenos, Dijon Caper Wild Alaskan Salmon Burger with Basil and even Cajun Spiced Catfish & Alligator Burgers. Our humble beginnings have led us to where we are today – passionate about seafood. Forget the ingredients that you can’t pronounce. When it comes to Rising Tide, we’re all about simple. Starting with good, wholesome ingredients, we craft tasty, unique and healthy products. It’s about time the whole family can enjoy Real Seafood, Real Easy. Please visit our Rising Tide website at www.risingtideseafood.com to learn more about our new line of products!